The lower fringe of the pendant options tiny red hanging beads. The combine of matching earrings is meant a bit like the jewelry pendant. 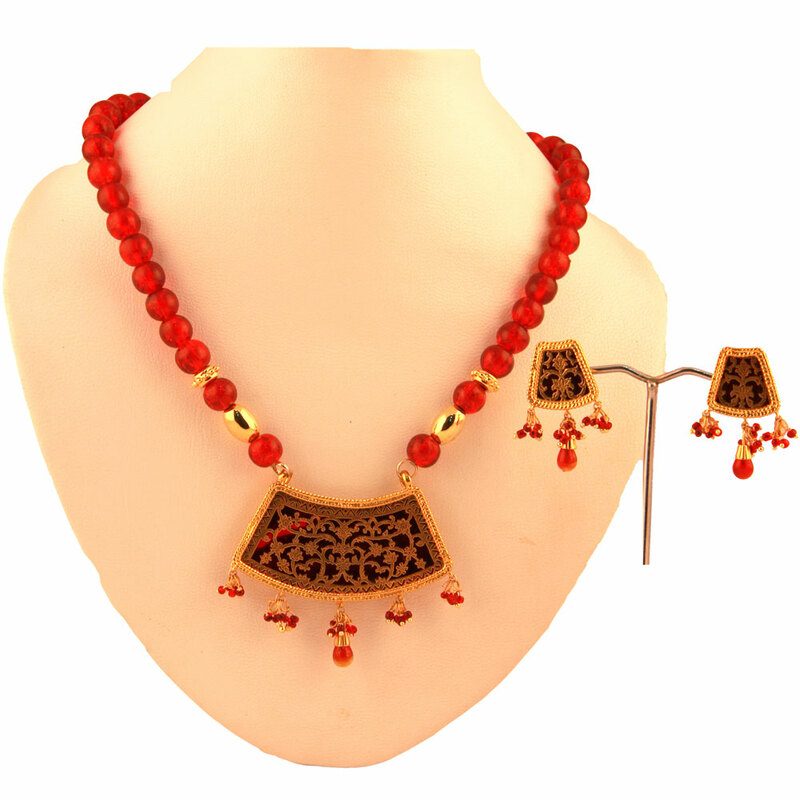 The string of transparent red beads that forms the chain of this necklace set I connected to a gold plated brass metal pendant having a Read More..quadrilateral shape. The lower edge of the pendant features small red hanging beads. The pair of matching earrings is designed just like the necklace pendant. Show Less..